In most areas of the country, state or local laws do not require that you buy a container to surround the casket in the grave. Christy Funeral Home, LLC does not require that you have such a container so that the ground will not sink and the safety of our visitors and staff is protected. Yes. The cremation facility is set up to allow family members to be present when the body is placed into the cremation chamber. In fact, some religious groups include this as part of their funeral custom. As anything, this is a personal choice on whether you want to witness this event. 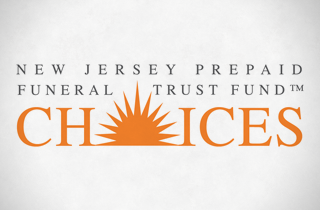 When you choose to pre-fund your final arrangements with Sray-Webster Funeral Home, your money is put in the New Jersey prepaid trust fund called "Choices". After your pre-plan is paid for in full, our price is guaranteed. You will never have to pay more for the items you have already paid for. Another point we’d like to stress: When you pre-plan, your plan will go where you go. No matter where you reside at the time of your passing, no matter what funeral home you choose to work with, your plan will be transferable to any funeral home in the United States. We know that you may have other questions, so feel free to call us at anytime so that we can walk you through your options and help you create the best possible plan for you.